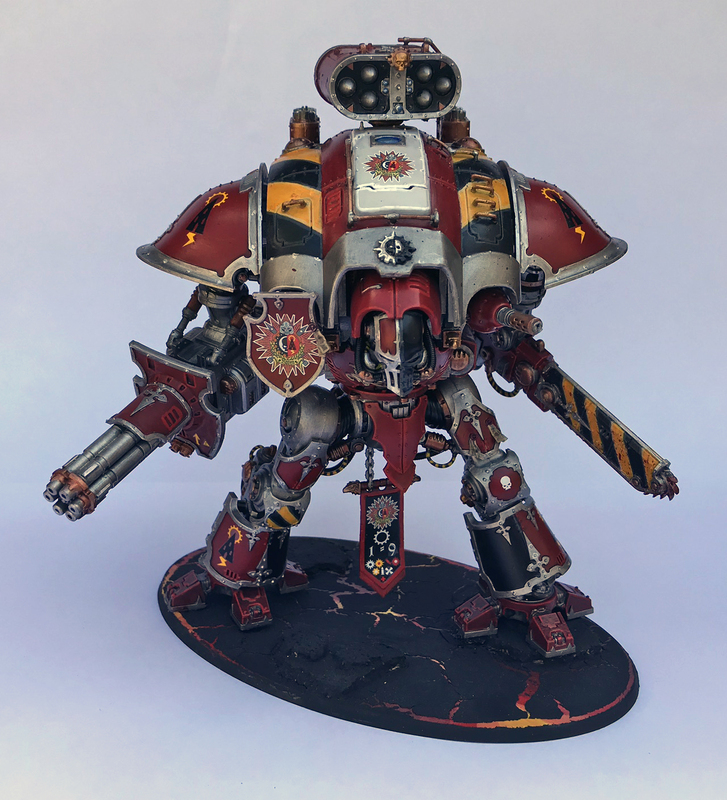 After the race of painting my Mechanicus and Knights for this years Armies on Parade, I am finally able to share my painted Armigers who shall serve as squires for Lord Grevan when he pilots Ferrous Maximus. I have a bad habit of painting things according to the box art and web store pictures because when considering purchases I generally end up falling in love with the scheme shown as I look at it again and again. 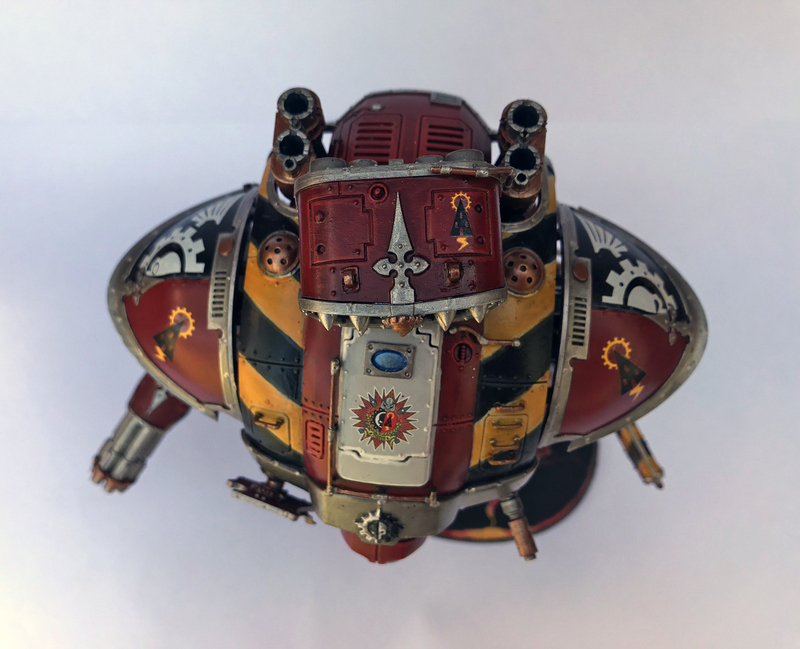 This, combined with my adoration for House Raven and the design of Ferrous Maximus, has led to the paint scheme on these Warglaives. When the Imperial Knights Renegade box came out I couldn’t resist picking one up with how good of a deal it was for two Imperial Knights with a Knight Warden sprue and some nice terrain. I procrastinated for a while on beginning assembly as I knew I wanted to magnetise the weapon parts to cater to my indecisiveness. The large task of learning to magnetise things and painting such a large model was very daunting but now that I have finished I think all the effort was worth it. I followed the guide from the blog From The Fang found here. Additionally, I added some magnets to the alternative face plates and shoulder shields for maximum variations. My fingers were coated in a thin later of superglue and I had a lot of frustrating moments with magnets that kept coming loose over and over despite the glue being dry. Gel superglue ended up saving the day with the thicker viscosity and nicer applicator being easier to control.